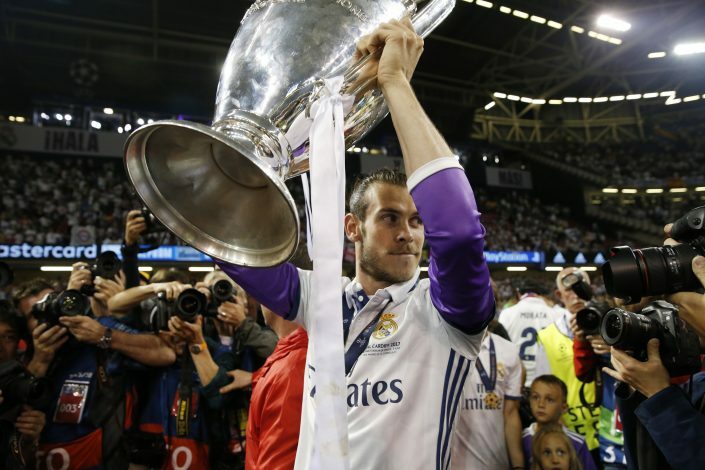 After being linked with a move all summer, filled with speculation and talk of possible deals, it is likely that long-term Manchester United target Gareth Bale will be making his way to Old Trafford before the curtain falls on the summer transfer window. The English sports presenter isn’t alone in his hope to see the Welshman in Red. Supporters of Manchester United have been touting on an Old Trafford move for the 28-year-old ever since he departed to Real Madrid back in 2013. Furthermore, the then world record signing emerged as a top interest for United boss Jose Mourinho earlier this month. However, when broached on the subject during the Red Devils’ UEFA Super Cup encounter with Los Blancos, the Portuguese announced the deal to be dead. With a strong start to their Premier League campaign, which has seen them net 4 goals apiece in two brilliant displays already, United don’t exactly seem wanting for an attacking winger. The likes of Mkhitaryan and Martial looking eager to deliver stellar performances, which perhaps hints that the Old Trafford faithful don’t really need their fourth summer signing be an attacking one.